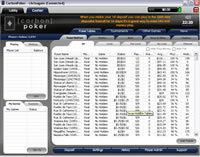 Step 1 – Carbon Poker offers a free downloadable software program and if you do not have the program already saved on your computer you can use this link here to download Carbon Poker. A popup will display asking you to save the file. You can click save and the download should begin. Step 2 – Once the download has completed you can begin installing the program on your computer. This should take close to 60 seconds and you will need to make sure that your PC meets the minimum system requirements listed above. Step 3 – Once the installation process has been completed the poker room software should immediately restart opening the login page. To create a new account you will need to click Full Account and provide the room with your personal details and pick your username. Once you have finished this, Carbon Poker will ask that you validate your account. You should receive an email from Carbon Poker with an account activation link. 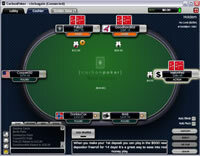 Step 4 – Once your account is activated you are ready to begin playing in the poker room. To make your first real money deposit, simply click cashier and deposit. On the deposit page you will see a box asking for the Carbon Poker coupon code. In this area you need to enter EPB500 which will give you the full 100% match bonus up to $500. If you need more information about the bonus or poker room you can read our Carbon Poker review.